Sliding Whiteboards or Hinged Whiteboards utilise space by adding to your existing whiteboard or noticeboard with additional writing whiteboard space. 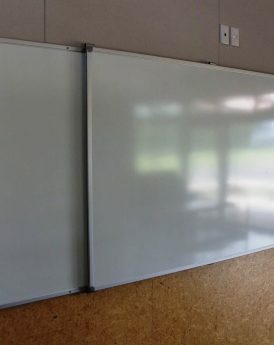 Sliding Whiteboards create an additional 2 or 3 writing surfaces where you can prepare in advance or allow you the choice of keeping the content available to view. 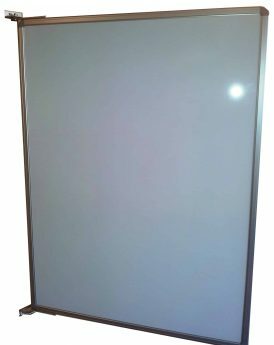 Hinged whiteboards provides you with a double sided magnetic whiteboard which can be mounted independently.